The Nurburgring is one of the most challenging racing circuits in the world. The 200 mph Jaguar F-TYPE SVR is a very capable tool to take on the challenging track. 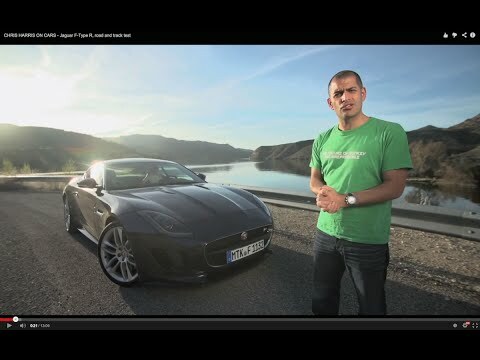 Now you can get a taste of the Jag’s performance thanks to Jaguar’s Co-Pilot Nordschleife’ program. Beyond that ability to hit a top speed of 200 mph expect strong acceleration with a 0-60 mph time of 3.5 seconds. Powering the F-TYPE SVR is a 5.0-liter V8 pumping out 567 horsepower. The Jaguar F-Type is one of the best sports cars to be produced by the British luxury car maker and it will now be a little more affordable to buy one. It was announced today that the 2017 F-Type will be offered with a lower priced entry level model that will save you as much as $3,600 over the current starting price. For 2017 the lineup will consist of the entry level F-Type, F-Type S and F-Type R. The F-Type will now start at $61,400 for the coupe and $65,400 for the convertible. The Jaguar F-Type is gunning for the Porsche 911. With the F-Type R Coupe putting out 550 horsepower and costing less than a 911 Carrera S, it makes the English sports car a very tempting purchase. But is it a precision tool like the 911? The answer is definitely no and yet that is part of what makes it fun to drive. It is much like an English Muscle Car, with more power than refinement. It has to be grabbed by the scruff of the neck to make it behave. It is very similar to the Mercedes SLS AMG with the type of car that it is. Although, the quality of the interior leaves a bit to be desired when compared the the Porsche. That isn’t to say it is not a good one, but when you sit down it doesn’t have the same wow factor. That instead comes when you start it. Then you hear that wonderful exhaust sound and when you start flying down the road you start to get it. It is just a fun and wonderful machine. The styling is jaw dropping and when you floor it you have no problem passing just about anything. Can it compete with the 911? Yes, but don’t look for it to unseat the sports car that all others are measured by, just yet. However, with more competition the folks at Porsche had better make sure that they keep the 911 moving forward or someone else will take that spot. The Jaguar F-Type R Coupe is quite a good sports car. That powerful Jag can launch from 0-60 mph in just 3.9 seconds and reach a top speed of 186 mph. This will allow it to blow the doors off of most cars. The rear-wheel drive car is great , but wouldn’t it be great if you could still enjoy an F-Type if the conditions get slick. Well, for 2016 Jaguar will be adding all-wheel drive (AWD) as standard to the F-Type R Coupe. This will help give it more grip in wet conditions and may help improve its handling on the track. The AWD system is dynamic allowing for it to find traction where it is needed and yet to not take over the driving experience. Many of the details are still a secret, but they will be made public at the LA Auto Show on November 19th. So, stay tuned to see just how awesome the new F-Type turns out to be. It is time once again for the World’s Greatest Drag Race. This is the fourth year of the drag race that features all the cars in the publication’s annual World’s Best Driver’s Car competition. This year the cars include the Porsche 911 Turbo S, Nissan GT-R NISMO, Jaguar F-Type Coupe, Alfa Romeo 4C and plenty more. But which car will be the fastest in a quarter mile drag race? On paper it would be either the 911 Turbo S or the GT-R, but will they be able to keep away the competition? And if they can keep the competition at bay then which of the two will get the victory? Put your guess in the comments and then watch the video to see if you are correct.